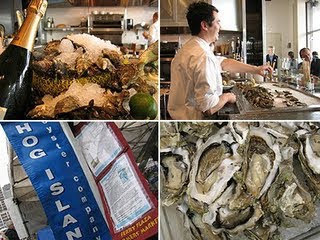 When I think of The Hog Island Oyster Co., it's usually not about the oyster bar that opened up at The San Francisco Ferry Building a few years back. That's not to say that the ferry building location isn't off the charts... It is! 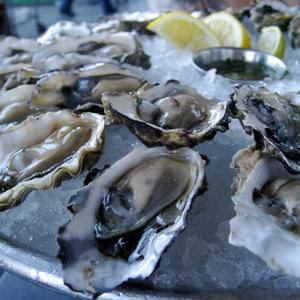 Lots of hustle and bustle, people chugging down oysters and ice cold beer on a sunny San Francisco day, is pretty tough to beat. 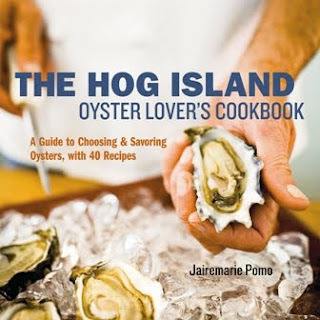 And The Hog Island Oyster Lovers Cookbook has long since made it to Pulitzer prize status in our cookbook library. 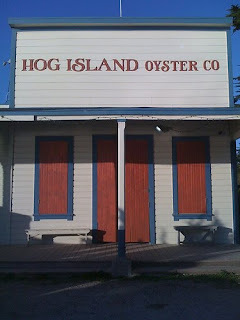 But my memories of the real Hog Island are more about driving up Hwy. 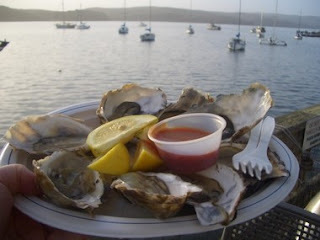 1 from Stinson Beach, on a warm summers day and pulling off the road at Tomales Bay to the sight of the oyster beds and the heavy smell of freshly shucked bivalve mollusks. 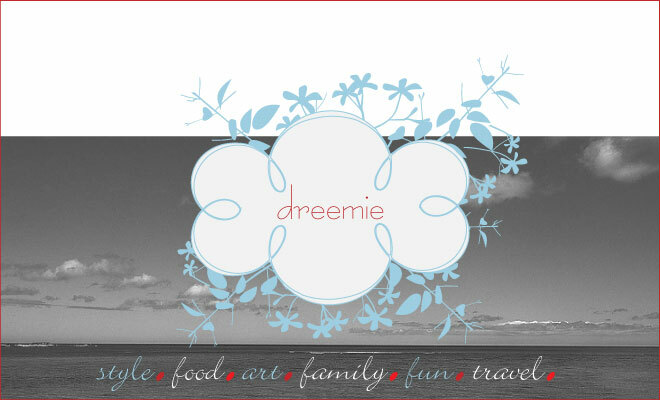 We used to go up regularly and pull a bushel or two right out of the holding tanks, take a seat at the pic nic tables that overlook the water and go to town. 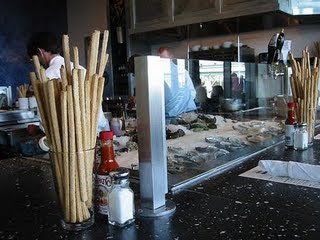 Thankfully the salty crew of workers would happily assist us with oyster knives, shucking gloves, fresh lemon and paper plates. With our booty of cold Lagunitas IPA and we'd belly up to the crusty pic nic table and have a feast that wouldn't end until the sun went down and the oysters and beer were gone.